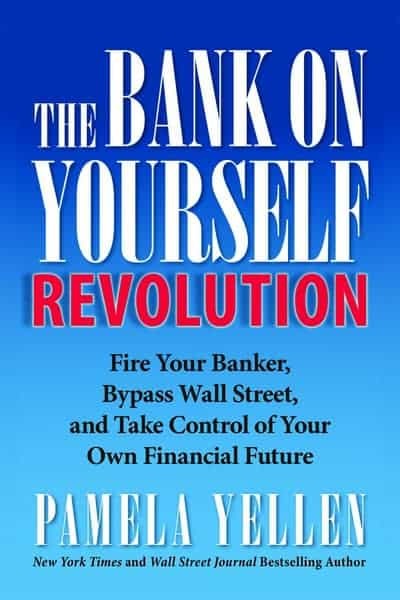 Today, we have a special excerpt for you from “The Bank On Yourself Revolution” by Pamela Yellen. I think everyone could the secret to a financially stress-free life, don’t you! Read on to discover this amazing book that will help you save money and become financially independent! Is finding financial peace of mind even possible? Has financial stress become the new normal for most of us in this country? The National Institute of Personal Finance says that up to 50 percent of employees admit to spending an average of 21 hours per month dealing with personal money matters while on the job. Another report from the Personal Finance Employee Education Foundation found that 30 percent of U.S. employees are seriously financially distressed. But we don’t really need these stats, do we? These days, we all know friends who have lost their homes, neighbors who have lost their jobs, young families who have moved back with Mom and Dad because they couldn’t afford housing on their own. We look around and see more and more people who are struggling to make ends meet today—much less building security for their future. It’s become epidemic! So if you’re feeling financial stress and worry, you’re not alone. But even if the statistics seem to tell us that this stress is inevitable, I’m here to tell you, it isn’t! You don’t have to panic about your financial present or agonize about all the what-ifs in the future. In this chapter, I’ll share a few time-tested keys to achieving this financial peace of mind. It’s simple—but powerful—wisdom that we somehow lost over the past couple of generations. Grandma may not have been perfect (well, mine was but I don’t know about yours), but she was a pretty sharp cookie when it came to handling money. Investing and saving are two totally different animals! Saving is what you do with the money you cannot afford to lose like your retirement, kids’ college funds, and emergency stash. Investing is what you do with money you can afford to lose—because you very well might lose it! In life, you can always expect the unexpected! Whether a positive opportunity that comes your way or a critical emergency that hits, you want to be ready for anything life has in store. Financial peace of mind comes from building a pyramid with a strong pool of savings and liquidity at its base. Liquidity ensures that you’ll never have to beg for, pay exorbitant interest on, or simply go without the money you need when you need it. Grandma was a pretty smart cookie. Financial wisdom of yesteryear still applies: the 10/10/10 Savings Formula, knowing where your money is going, separating want from need, and stashing funds in a properly-designed whole life policy! You actually can be financially stress-free. For more information on these tips and more, see Chapter 6 of my new book, The Bank On Yourself Revolution. 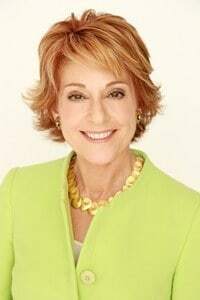 Financial security expert Pamela Yellen is a New York Times best-selling author whose latest book, The Bank On Yourself Revolution: Fire Your Banker, Bypass Wall Street, and Take Control of Your Own Financial Future, is due out in February, 2014 (Get a FREE chapter here). Pamela investigated more than 450 financial strategies seeking an alternative to the risk and volatility of stocks and other investments, which led her to a time-tested, predictable method of growing wealth now used by more than 500,000 Americans. Visit www.BankOnYourself.com. What do you think of these secrets to a financially stress-free life? Will you follow Pamela’s tips? You absolutely need to prepare…. thank you for the tips. Great tips. i really need to follow some of them. Separating WANT from NEED is a huge one in my life. I’ve been making a point over the last few months to ask myself before buying something…do I really need this or just want it? It’s made a difference already in our finances. A little bit here and there adds up. Great Tips Especially The One About Getting What You Need MOST People Abuse That One NOT ME!! Good point that saving and investing are two separate things. With inflation, it gets tough!